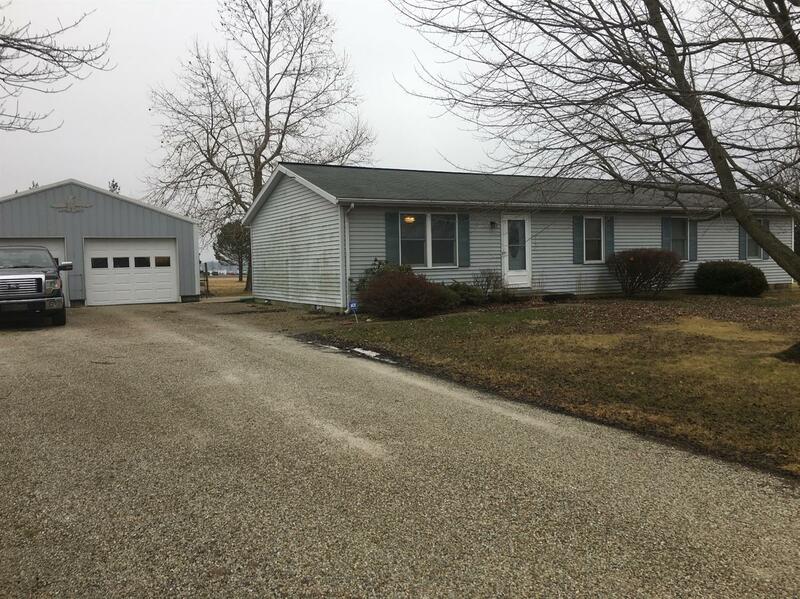 Well kept home on 1.38 acres, lg.det garage w/concrete & electric, storage shed in rear of home. Master suite w/sitting rm, currently being used as baby room. Eat-in kitchen, dining rm. Gas brought to house but hasn't been connected. Great home, for a great price! NOTE: This property was sold on 4/11/2018 and is no longer available. The details listed below are believed accurate to the date of the sale and are subject to change. A century ago passengers traveling through Osgood sought evening entertainment at movie theaters. The Damm Theatre, owned by German immigrant Louis Damm, offered its customers first-run movies and short reels to vaudevillian skits and local amateur acts. The Osgood community was so proud of its Damm Theatre that the city’s welcome sign included the motto: “Home of the Damm Theatre”. Closed in the 1950’s, residents are hopeful the theatre can be reopened. Located in the southeast corner of Indiana Osgood’s 1,700 residents Are spread along the villages 1.3 miles.Osgood today is seeing many changes due to the generous gift of more than $23 million from the Gilmore and Golda Reynolds Foundation to assist the town government as well as local non-profit organizations. The past is evident, though, in many of the beautiful homes and buildings. Osgood is located off Interstate 74, along U.S. Rt. 421. Greater Cincinnati International Airport is 42 miles away, with regional airports, North Vernon, and Greensburg/Decatur less than a 20-minute drive. Osgood Volunteer Fire Department provides fire and EMS service. A satellite building of Margaret Mary Community Hospital provides general care for residents, or you can drive a short distance in either direction to reach two regional community hospitals: Margaret Mary Community Hospital 14 miles away in Batesville, or King’s Daughters Hospital and Health Services 25 miles away in Madison. Shoppers will browse the antique and gift shops, but a larger shopping trip needs a jump in the car to nearby Versailles or Batesville. Osgood is home to the Ripley County Fairgrounds where the 4-H Fair is held each July; events such as car races and horse activities are also held there through the year. Artisans will enjoy the drive to see the artwork of sculpture Dale Loughery, whose whimsical iron works are scattered through town. Recreation is found at nearby Versailles State Park. This listing courtesy of Debi Hornsby (812) 537-4663, Huff Realty 812-537-4663.